The study of corporate governance is a relatively modern development, with significant attention devoted to the subject only during the last fifty years. The topics covered in this volume include the purpose of the corporation, the board of directors, the role of shareholders, and more contemporary developments like hedge fund activism, the role of sovereign wealth funds, and the development of corporate governance law in what perhaps will become the dominant world economy over the next century, China. The editor has written an introductory essay which briefly describes the intellectual history of the field and analyses the material selected for the volume. The papers which have been selected present what the editor believes to be some of the best and most representative studies of the subjects covered. 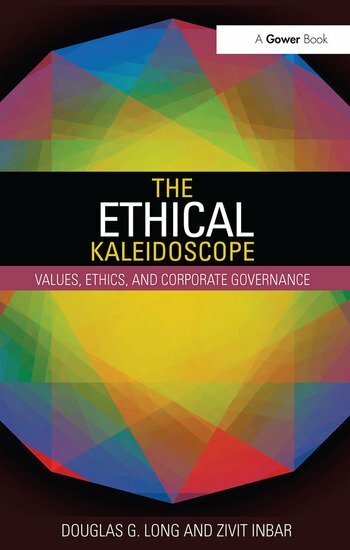 As a result the volume offers a rounded view of the contemporary state of the some of the dominant issues in corporate governance. Contents: Introduction; Part I The Purpose of the Corporation: Corporate powers as powers in trust, A.A. Berle Jr; For whom are corporate managers trustees?, E. Merrick Dodd Jr; The end of history for corporate law, Henry Hansman and Reinier Kraakman; Our schizophrenic conception of the business corporation, William T. Allen. Part II The Board of Directors: Legal models of management structure in the modern corporation: officers, directors, and accountants, Melvin Aron Eisenberg; A team production theory of corporate law, Margaret M. Blair and Lynn A. Stout; Director primacy: the means and ends of corporate governance, Stephen M. Bainbridge. Part III Shareholders: Shareholders as proxies: the contours of shareholder democracy, Dalia Tsuk Mitchell; Hedge funds in corporate governance and corporate control, Marcel Kahan and Edward B. Rock; Sovereign wealth funds and corporate governance: a minimalist response to the new mercantilism, Ronald J. Gilson and Curtis J. Milhaupt. Part IV A Look at the Future? : Corporate governance in China: then and now, Cindy A. Schipani and Junhai Liu; Name index.